Are you a waitress? 'Cause you's about to be serving looks! 1. A delightful pleated fit-and-flare midi dress to take you from office-appropriate to holiday party with just the change of a shoe. Get it from Amazon for $24.99+ (available in sizes XS-XXL and in eight colors). 2. A pair of faux-suede tassel oxford loafers you might actually be able to walk around in all day — I know, what a concept! Get them from Amazon for $17.99+ (available in sizes 5.5-10 and in six colors). 3. 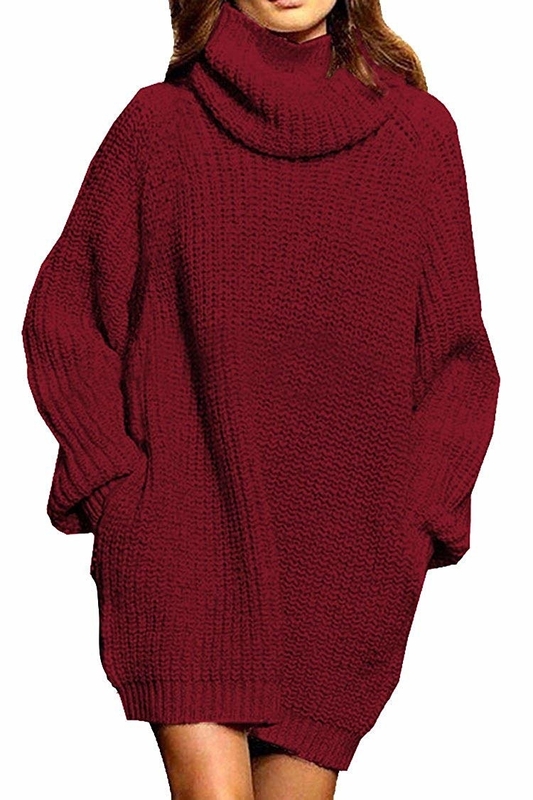 A dreamy and chunky sweater dress people will think was knitted with love by a sweet and talented grandparent — little do they know your grandparents are too busy going on cruises to knit you anything. Get it from Amazon for $33.99 (available in sizes S-XL and in five colors). 4. 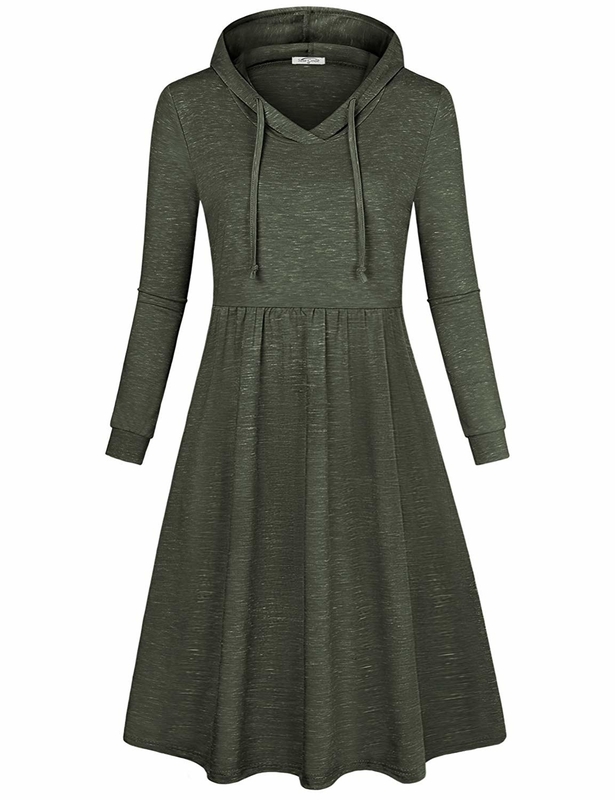 A hooded swing dress that'll be the perfect thing to wear while you're living out your best casual life. Get it from Amazon for $19.31+ (available in sizes S-XL and in six colors). 5. A stretchy A-line ruffled-sleeve party dress, because this dress is just too cute not to own — plus it comes in 12 colors so you can literally have a different one for every day of the week! Get it from Amazon for $16.99+ (available in sizes XS-XL and in 12 colors). 6. A faux-leather paper-bag-waist pencil skirt for when you wanna feel like an office-appropriate badass. Get it from River Island for $84 (available in sizes 2-14). 7. A super-soft fringed scarf you might as well tell people is actually cashmere because that's what it feels like! Get it from Amazon for $3.49+ (available in 25 colors). 8. A flowy vintage-inspired chiffon dress designed with bell sleeves and tie-waist for a boho vibe. 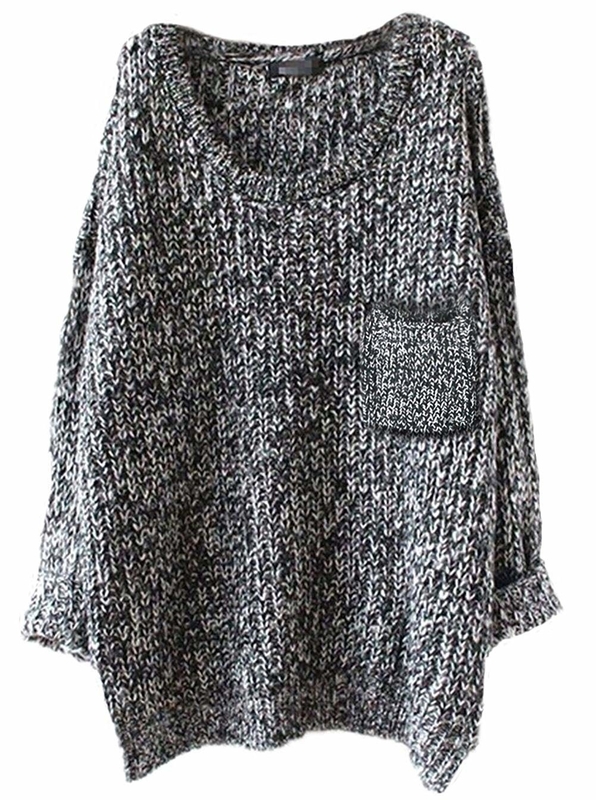 Get it from Amazon for $23.99+ (available in sizes 5XS-XL and in brown and black). 9. 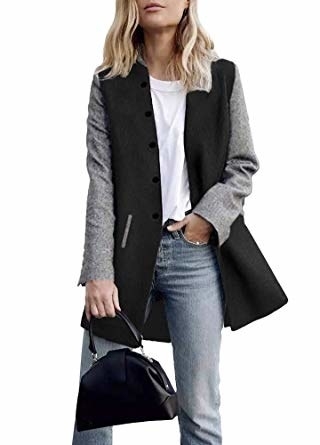 A chic AF contrasting-sleeve blazer jacket that'll look so freakin' cute over your favorite boyfriend jeans! Get it from Amazon for $21.99+ (available in sizes S-XL and in four colors). 10. 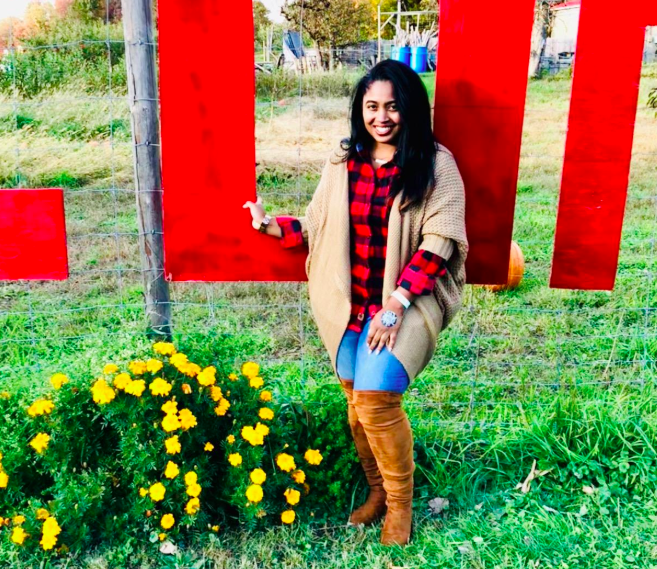 A long-sleeve floral-print blouse to layer under your favorite blazer or wear alone — doesn't matter, it'll be cute either way! Get it from Amazon for $12.99+ (available in sizes S-XXL and in seven prints). 11. A ruffled-hem dress you're gonna never want to take off when the temperatures drop — or when you just wanna live in your leggings. Get it from Amazon for $18.99+ (available in sizes S-XL and in blue, red, and green). 12. 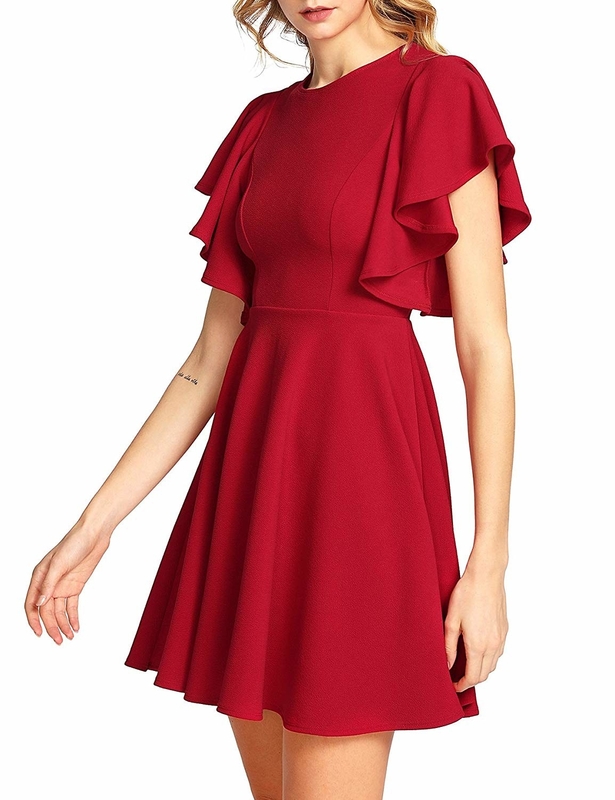 A lantern-sleeve mini dress to dress up or down — basically, it'll be comfy enough for your Thanksgiving dinner plans and dressy enough not to get you judged by your opinionated relatives. Get it from Amazon for $6.99+ (available in sizes S-XL and in eight colors). 13. A pair of chunky-heel booties that'll be your go-to shoe from now until the sun comes back out...and maybe even a little after that. 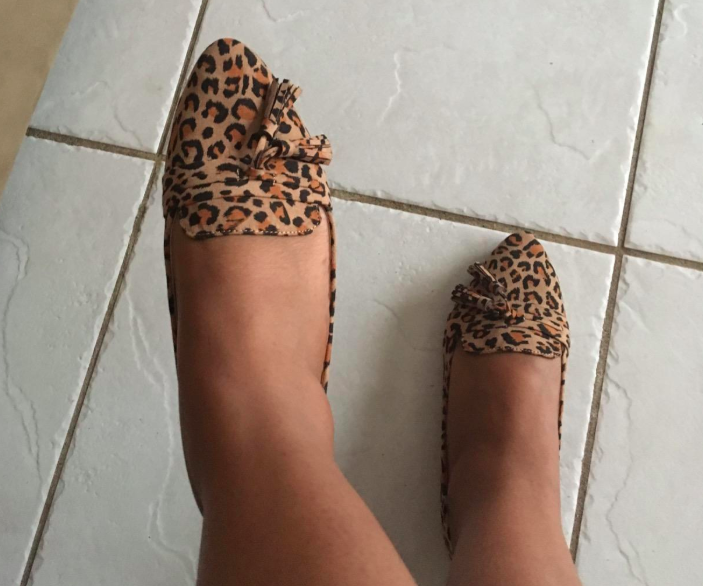 Get them from Amazon for $21+ (available in sizes 5.5-11 and in 28 colors). 14. A sparkling sequined Topshop skirt so you can light up the night — or, and just hear me out, wear it with an oversized sweater and a pair of cute sneakers. Get it from Nordstrom for $130 (available in sizes 2-12). 15. A short-sleeve blouse designed with a delightful little embellished collar. Get it from Amazon for $15.99+ (available in sizes XS-XL and in eight colors). 16. 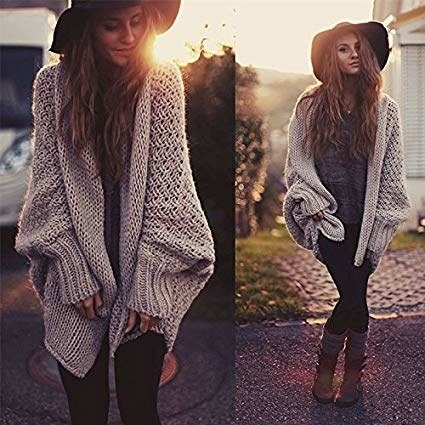 An oversized batwing-sleeve knit cardigan you can throw on when you complain that it's cold in the house and that you want to turn up the heat but your mom just yells at you to put a sweater on. 17. 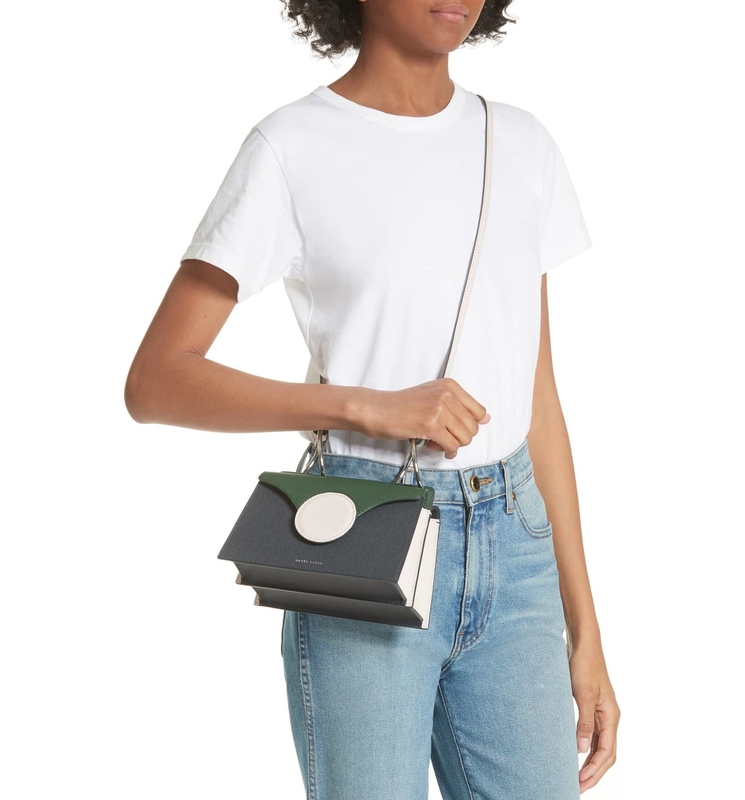 A chic leather-belt fanny pack to have everything within arm's reach when you're running around town and don't want to carry a bag. Get it from Amazon for $3.99+ (available in sizes 27"-42" and in eight colors). 18. A ribbed, side-button detailed midi dress that'll look so damn cute layered under a moto jacket. 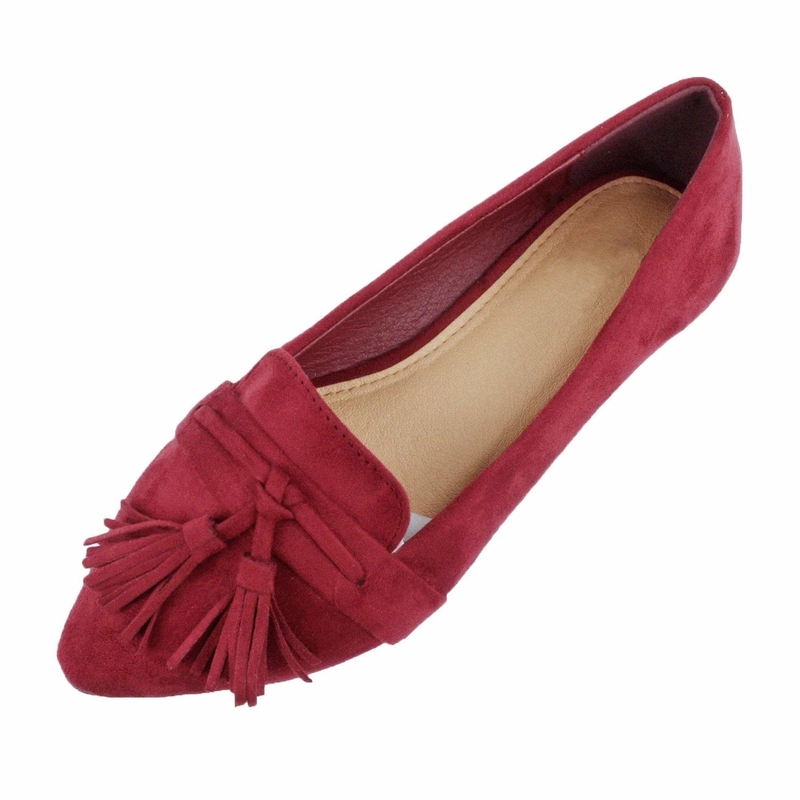 Get it from River Island for $64 (available in sizes 2-14 and in five colors). 19. A pair of uber-luxe Golden Goose Superstar sneakers just in case you wanna treat yourself to some designer duds. Get them from Nordstrom for $460+ (available in sizes 6-13 and in four colors). 20. 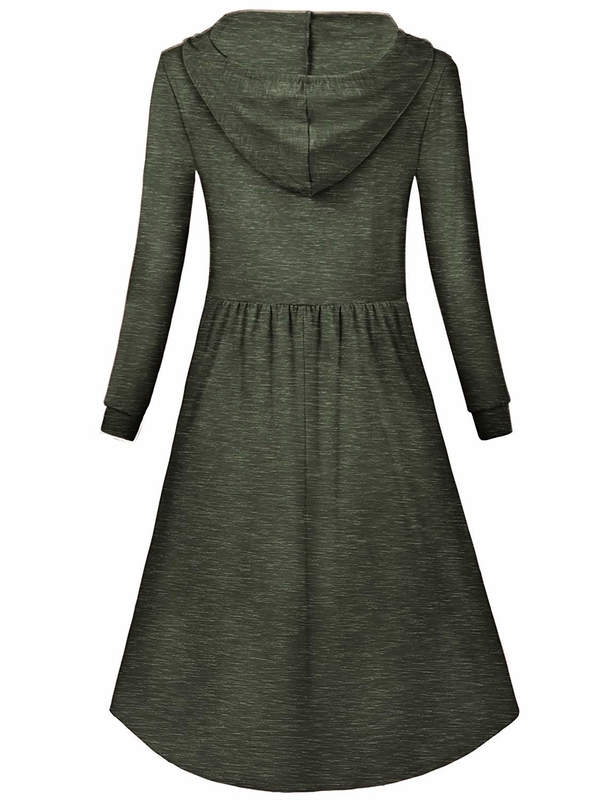 A classic and casual pencil dress, because you need a new go-to everyday dress (with pockets!). 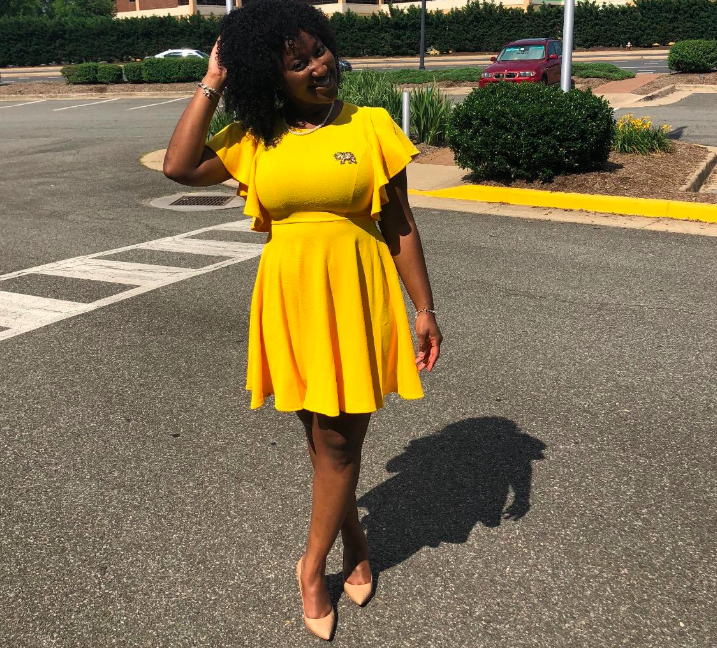 Get it from Amazon for $18.99+ (available in sizes 0-14 and in 34 colors/styles). 21. An open-back yoga top that's really cute enough to wear even if you don't get that workout in. Get it from Amazon for $12.99+ (available in sizes S-XL and in eight colors). 22. 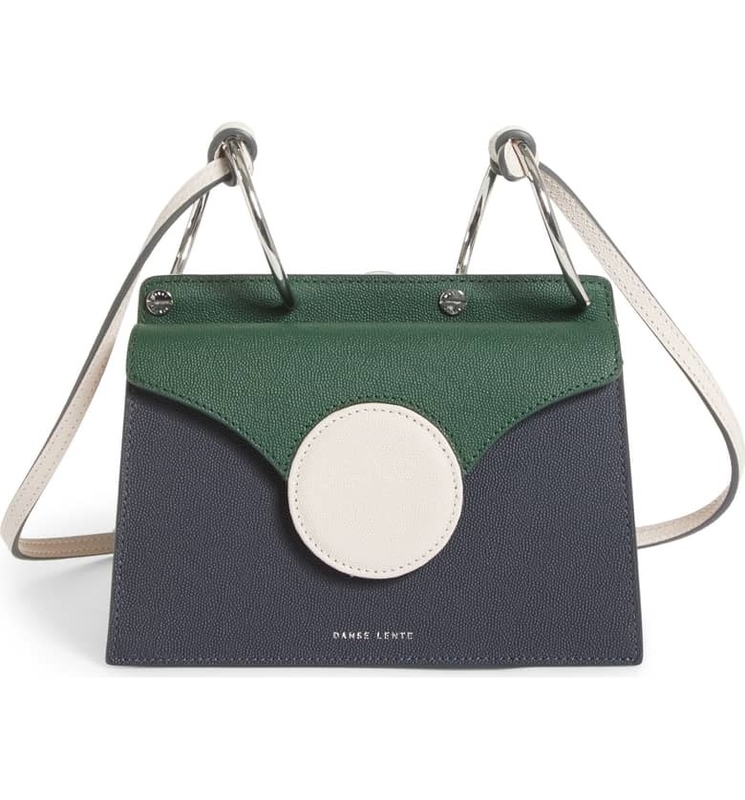 An investment-worthy leather Danse Lente mini Phoebe bag with a color-blocked cross-body design that you'll wear for a lifetime. Get it from Nordstrom for $380+ (available in six colors). 23. A floral A-line mini dress you can easily layer under a cozy cardigan or pair with your favorite booties. Get it from Amazon for $5.99+ (available in sizes S-XL and with short or long sleeves). 24. An off-the-shoulder blouse perfect for an afternoon at the kind of coffee shop where you need to hold your cup with two hands. Get it from Amazon for $13.96+ (available in sizes S-3XL and in 15 colors). 25. A cozy and totally practical knitted beanie you damn well know all the cool kids are wearing. Get it from Amazon for $4.95+ (available in 13 colors). 26. 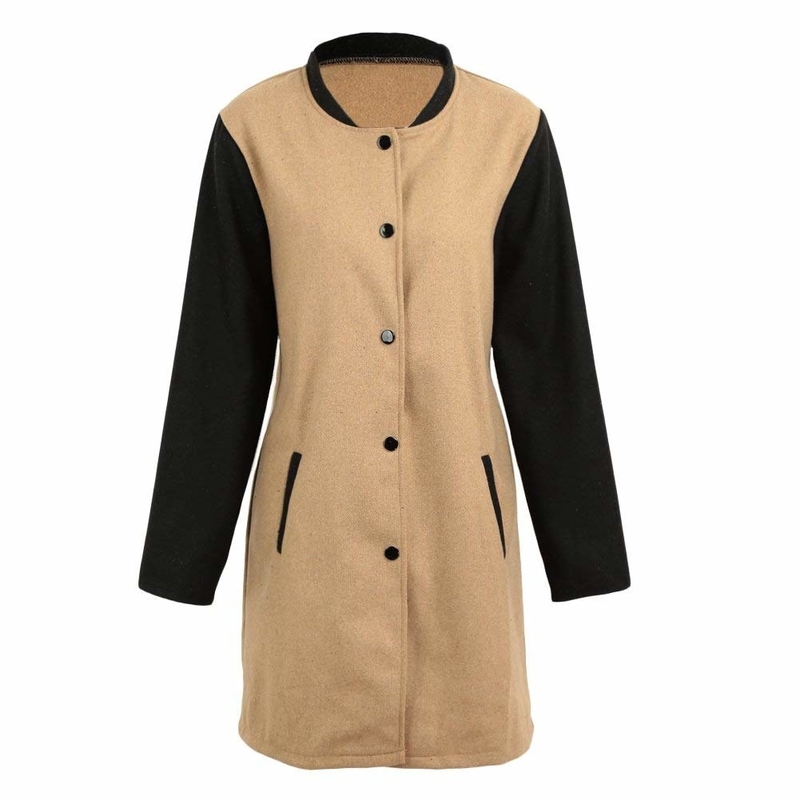 A cushy cardigan coat fluffy enough to keep you cozy and warm during those chilly nights. Get it from Amazon for $33.99+ (available in XS-3XL, and one-size-fits-most for select colors, and in 13 colors). 27. 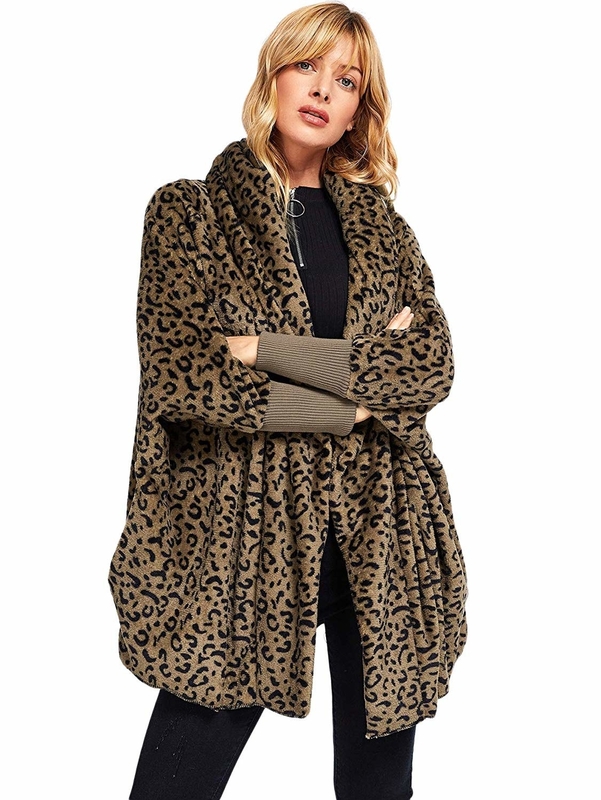 A showstopping leopard-print Ganni raincoat that'll have you singing, "Rain, rain please don't go away." Get it from Nordstrom for $295 (available in sizes 6 and 10). 28. A super-freakin' cozy oversized faux shearling jacket to keep you as snug as a bug this fall. Get it from Amazon for $28.99+ (available in sizes S-3XL and in 13 colors). 29. 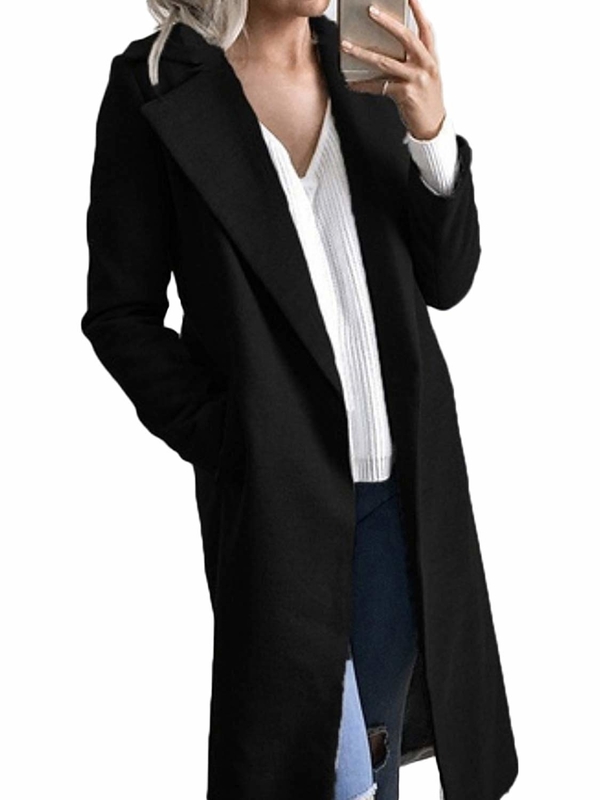 A longline wool-blend overcoat that's easily layerable to give you so many great autumn looks. Get it from Amazon for $28.99+ (available in sizes S-XL and four colors). 30. 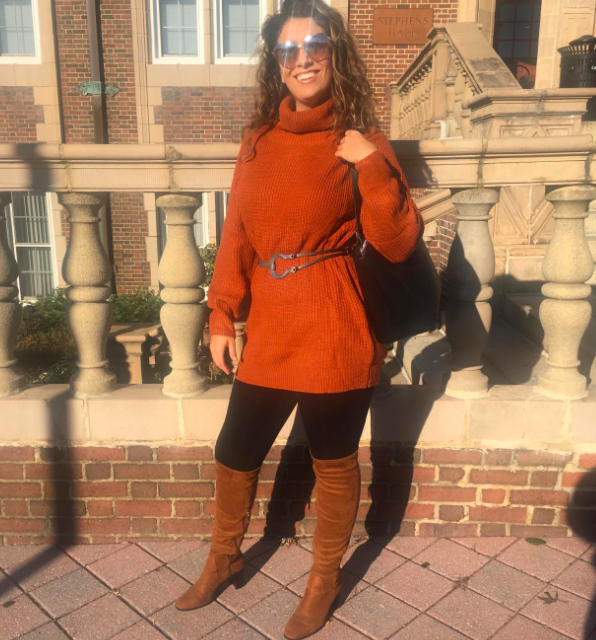 A mid-length blazer coat for when it's pumpkin spice season and you need a coordinating OOTD. Get it from Amazon for $29.99 (available in sizes L-6XL). 31. A stunning corduroy button-up cocktail dress with le pockets that looks as expensive as it is cozy. Get it from Amazon for $46.98+ (available in sizes 2-12). 32. A peplum oversized blouse you'll throw on with your favorite trousers when you're running late to...everything. Get it from Amazon for $6.99+ (available in sizes XS-XXL and in 10 colors). 33. An oversized crewneck sweater you'd look great wearing on a nautical vacation — or curled up at the theater while you watch a movie about a nautical vacation gone awry. Get it from Amazon for $23.99 (available in burgundy and gray). 34. A comfy snap-side sweatshirt for all those winter marathons you'll be running...or watching. Get it from River Island for $60 (available in sizes 14-24 and XS-L). Find the matching joggers for $70. 35. An epic sequined Dress the Population jumpsuit I have absolutely no place to wear but still, somehow, desperately need. Get it from Nordstrom for $318 (available in sizes XXS-XXL and in four colors). 36. And a casual plaid button-up dress designed with the one thing we all value most in a dress: POCKETS!! Get it from Amazon for $19.88+ (available in sizes S-XXL and in 10 colors).